Talking to employees about cost cuts is a difficult job for leaders and communicators, yet it is vitally important to get it right, especially now that it's such a big part of the way businesses function. Even the healthiest, most successful companies consider budget cuts a smart move. Since cutting costs is no longer just a strategy to survive during tough times, learning how to communicate these changes in a smart way is critical for a company's success. 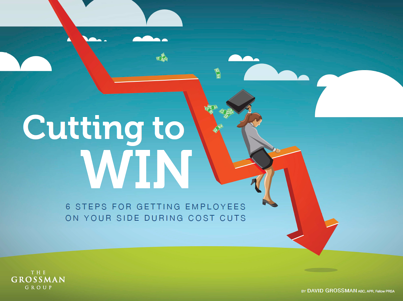 Download — Cutting to Win: 6 Steps for Getting Employees on Your Side During Cost Cuts — by filling out the form to the right and start communicating changes in a way that engages and retains your workforce.